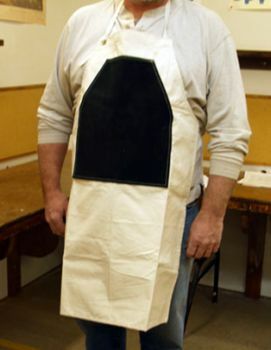 Canvas with Suede Front Carving Apron. This apron is custom-sewn from heavy duck canvas material with an oversized suede patch. Power carvers especially like it when using burrs.